"Wouldn't that be perfect for a bag"...? This Evening Bag pattern is just the right size for a night out. The pattern also makes a small daytime bag or a cute kid's handbag! 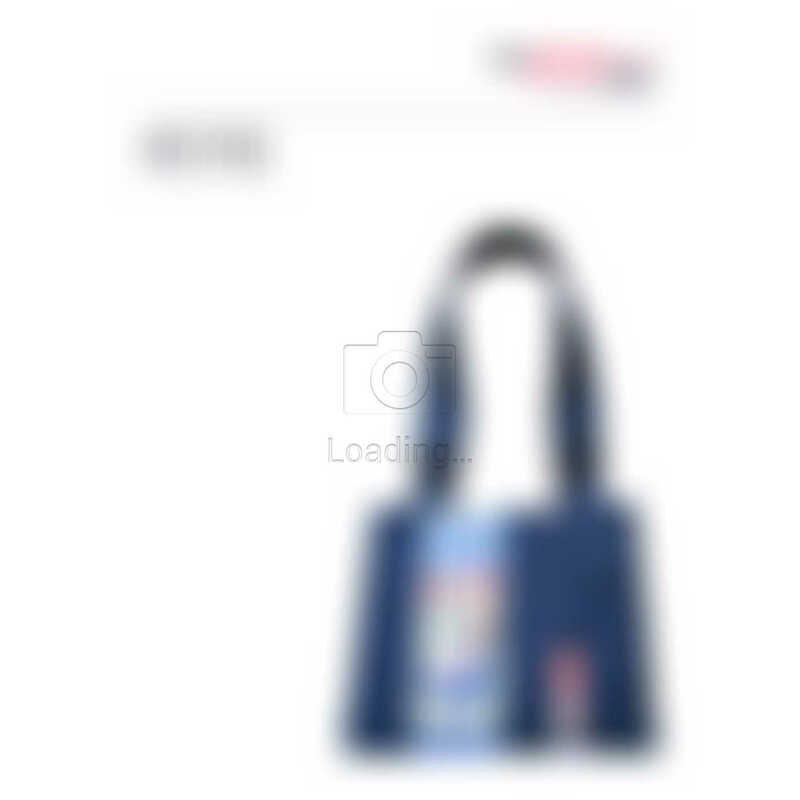 Your friends won't believe you made this bag! and Proudly tell everyone: " I made it Myself!" " I NEVER EVER thought I'd be able to sew such a pretty purse, but the instructions are so detailed and the pattern is so well-drafted, it's hard to go wrong. I went slowly because this was my first time and took the time to enjoy the process too. But I must confess that throughout the project, I couldn't wait to finish up the purse properly and take a few photos :-))"
on THAT exquisite handmade bag you're carrying. Why, yes... of course I made it myself." Was Easier than you think? The Secret of successful bagmaking is having the RIGHT instruction. 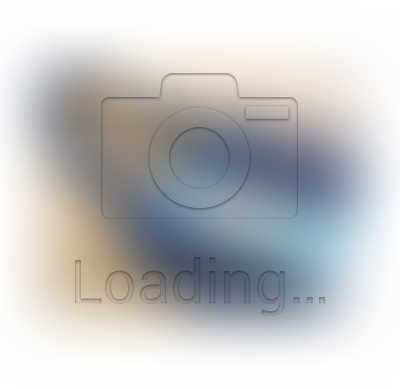 Hey, it is the most basic thing to do but it will make a huge difference. 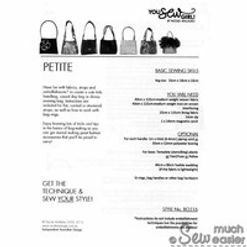 I'm thrilled to announce that Sew Much Easier has paired up with a fellow local designer, Nicole Mallalieu (from the "You Sew, Girl!" 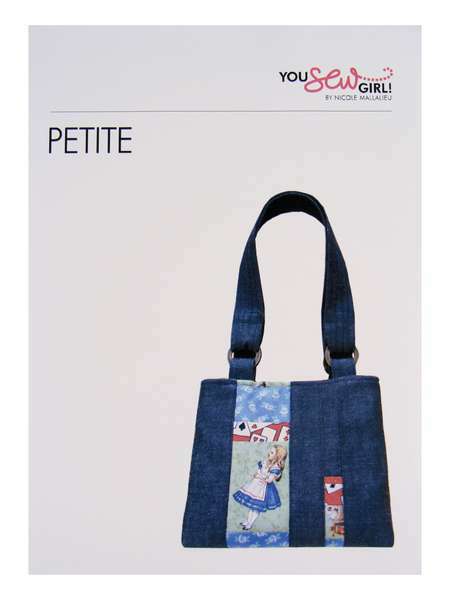 fame) and we now stock her handbag patterns! 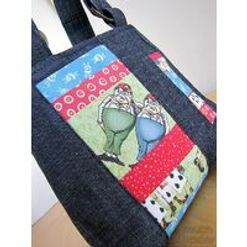 Ok, I know you ALL know that she makes awesome bags and patterns. ...... with Nicole Mallalieu herself!
" No matter what kind of chaos, minor ailments, grief or stress is going on in daily life, I step into this [sewing class] and feel like I'm home. It's wonderful to meet so many other people from the sewing-tribe, who are interested and enthusiastic about the same things that I am. Best of all, I get to see them take a journey from uncertainty and self-doubt to bustin-out-all-over pride in their achievements." 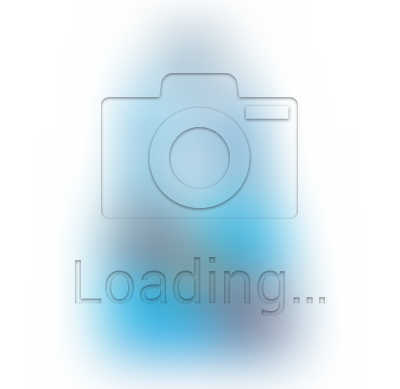 ...... and be proud to say " I MADE it myself !! " Have fun with fabrics, straps and your own personal decorative touches to create a cute kids handbag, casual day bag or dressy evening bag. 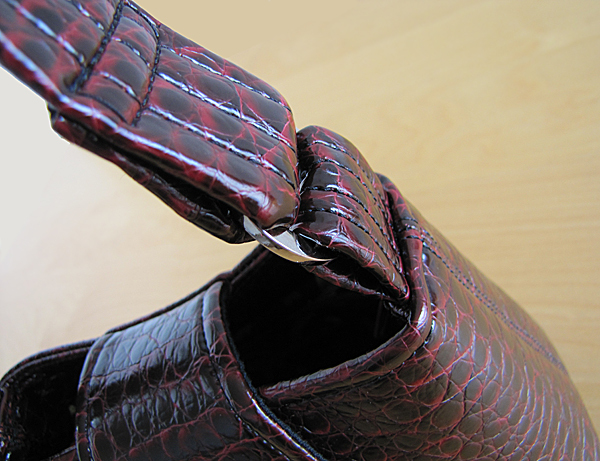 Instructions are included for flat, corded or structured straps, as well as how to work with bag rings. 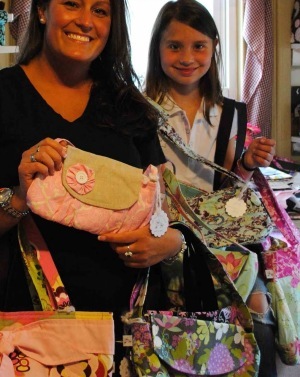 Enjoy learinging lots of tricks and tips in the basics of bag-making so you can get started making great fashion accessories that you'll be proud to carry! *NOTE: Instructions do NOT include embellishment techniques. This level is perfect for you if you are comfortable using a sewing machine - even if you're new to sewing. This is a very easy-to-make pattern. A gentle step up from "Absolute Beginner" level. 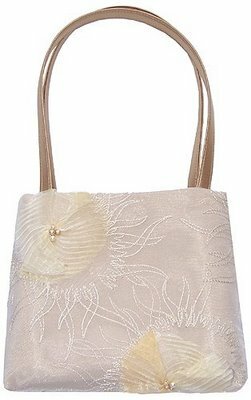 A perfect "follow-up" if you have only made one bag previously - you'll learn to vary the strap design, add handles and make corded straps. You'll also learn to use wadding and interfacings to create structure in the bag. It includes detailed (easy to follow) instructions for many of the finer points of creating a well-finished bag. 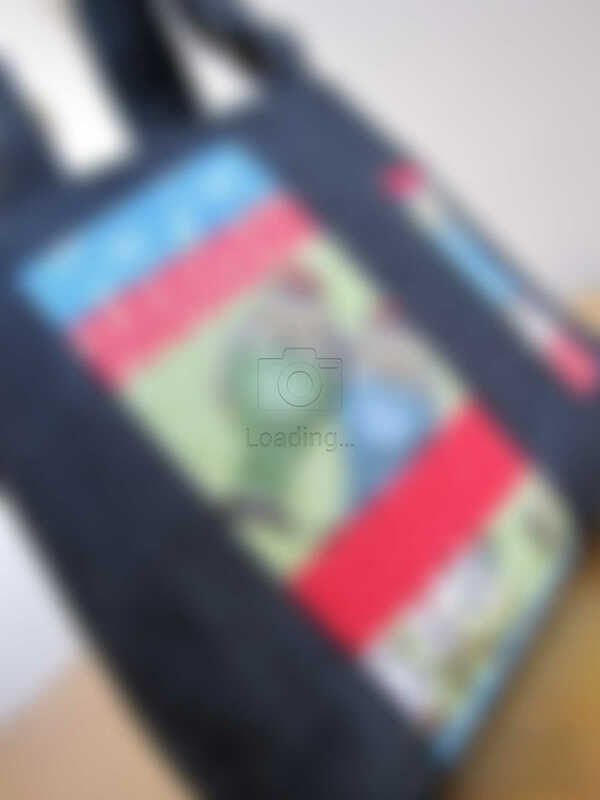 This is THE pattern to get you addicted to bag-making! 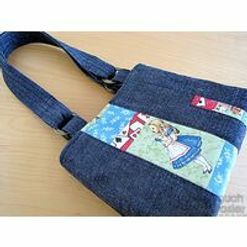 This pattern is suitable for beginners with some sewing experience and wishing to learn more. 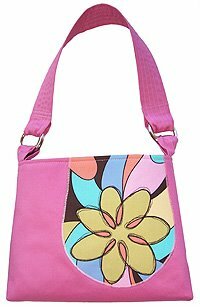 *Note: Design Variations refers to ways to alter the straps, flaps and bag body. 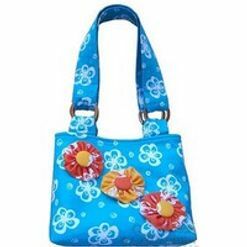 Patterns do not include instructions for the applique, embroidery or other embellishments on the bags. "Now that I've done a few following the pattern to learn the techniques, I think I'm ready to start "tweaking" it a little and see what modifications I can make. [Nicole Mallalieu's] techniques have really helped me to progress with my bag-making skills and produce a much more professional looking purse." 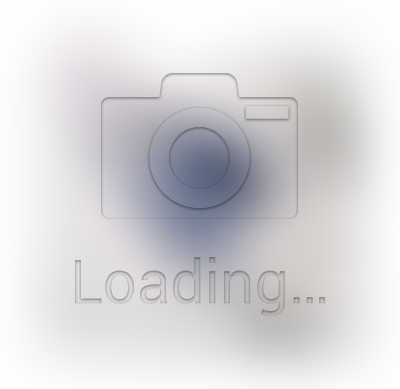 So, what's so special about "You Sew, Girl!" patterns by Nicole Mallalieu...? 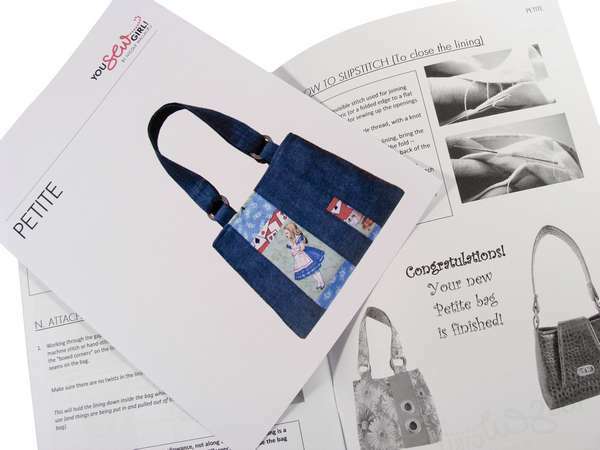 Nicole Mallalieu Design Bag Patterns are more than just patterns! 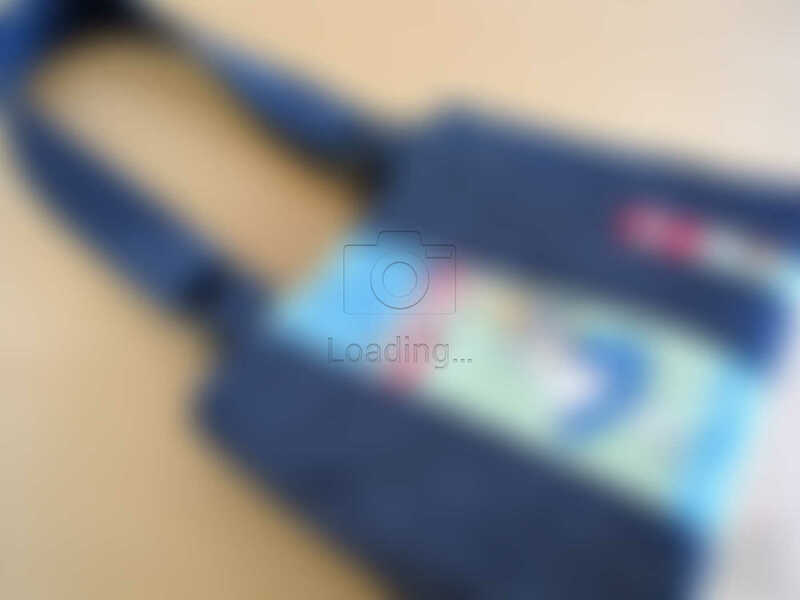 Graded over four levels of difficulty (from "Beginners" to "Advanced"), with each level teaching more of the fundamentals of professional bag-making, the patterns are like a self-paced bag-making course to help you to LEARN and IMPROVE your skills. 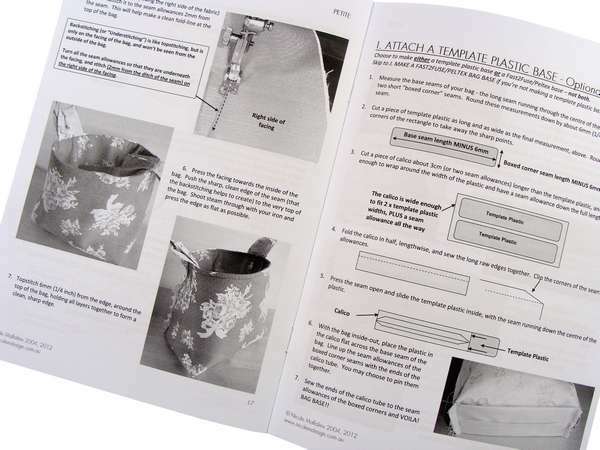 Begin at or below your level of sewing ability, and you're sure to achieve great results as you learn techniques to improve your sewing and bag-making. As you gain confidence and know-how, move on to the next level, and learn a few more techniques... and on and on... (it's addictive!). 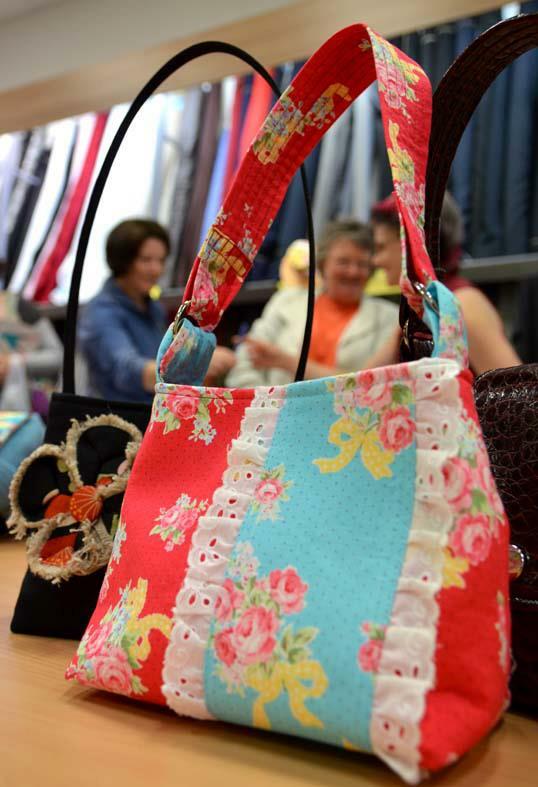 The more designs you work through, the more bag-making skills you'll gain.... and the more FABULOUS handbags, totes and purses you'll end up with - to keep, give away or sell! "[Nicole's pattern] is fantastic! I've already made two, and get lots of comments on them. I generally have little patience for machine sewing (I do hand quilting, which I enjoy much more than sitting at a machine), but the pattern was so straightforward, and the results so immediate that even I didn't get scared off!" What exactly do I get out of these patterns? 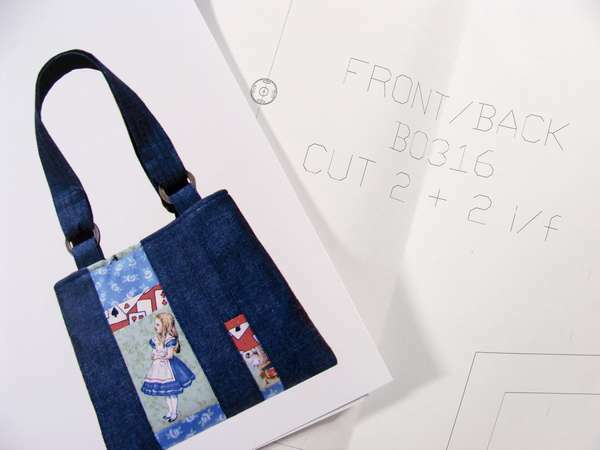 The bag patterns show you how to make more than just one bag - by varying the designs you can come up with as many different ways as your imagination will allow (that means more bags for you)! Instructions for variations leave the ACTUAL design work up to you. For example, you can make the straps as long or as wide as you want to, choose to use rings or handles or not... You're encouraged to think for yourself and explore all the possibilities. This is how you learn and develop the craft, rather than make up just another kit bag (like everyone else!!). 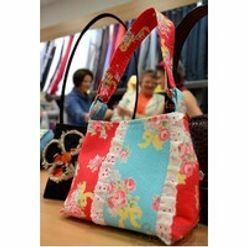 Your bags will be original and creative, and before you know it - you will become a designer in your own right - with a sizeable collection of handmade bags to prove it! *Note: Image shows the quality of paper and level of details. Actual pattern code may vary. What do the patterns LOOK like inside the packets....? The patterns are all full-size patterns ( actual size, with almost no "cut on fold" pieces), printed on 80gsm white paper - none of those fly-away brown tissue paper - so you can use it over and over again. Yay! The instructions are VERY DETAILED, with lots of diagrams and photos of every stage of the construction process. 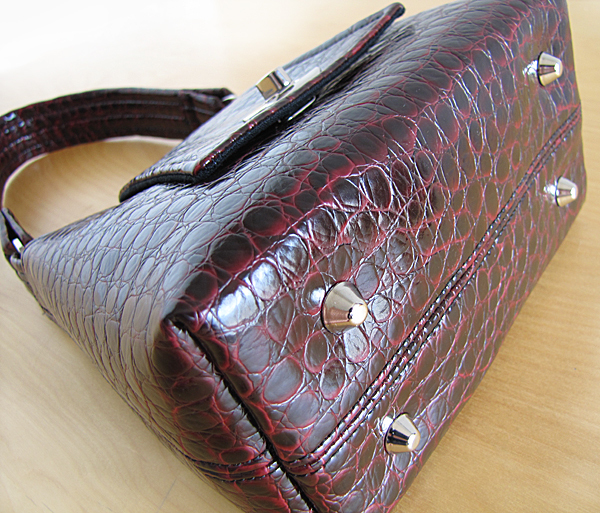 There are also tips for a better finish, and also lots of hints and instructions for varying the design of the bag. The pattern is packed in a reusable self-sealed clear bag - which will store your pattern pieces securely once you've cut them out. 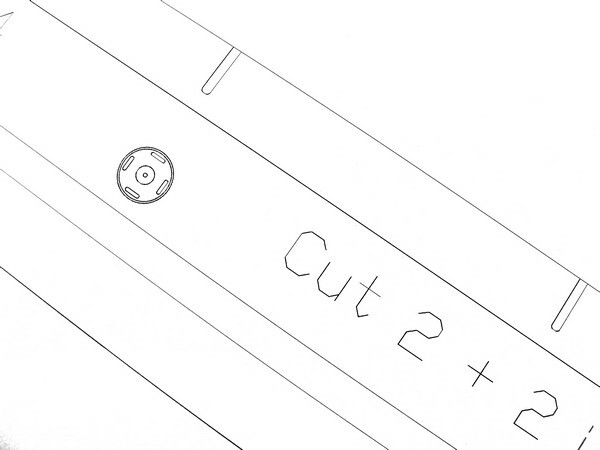 The colour prints on the cover are there for inspiration, and you'll also find a materials list on the back, and more information on cutting on the inside of the cover. What if I don't understand the instructions, or have any problems making the bag...? You'll have the back-up of "technical support"!! If you have any problems with the pattern, or need any advice on making up the bag, you can find useful Tips and Tutorials on Nicole Mallalieu's website - the answer might be there... If not, then simply email Nicole or if you prefer, feel free to contact us and we will either make some suggestions, or ask Nicole for you. The instructions are a little LONG... does that mean that they're very complicated? The patterns are straightforward - because Nicole does a LOT of teaching, she understands just how many questions people have when they're following each pattern. She tries to ANSWER ALL THESE QUESTIONS by fully breaking down the process and showing diagrams and photos at every stage. You will find tips and suggestions at every step to make the job easier, or give a better finish... so that's a lot of information. It's like a bag-making class in a packet - and you don't even have to leave the house! "[Nicole Mallalieu's] patterns are fantastic, the best I have worked with. It has taught some new skills and it is my best made bag yet, thanks ! Do I have to read ALL the instructions? We won't make you - but we DO recommend that you READ before you start. 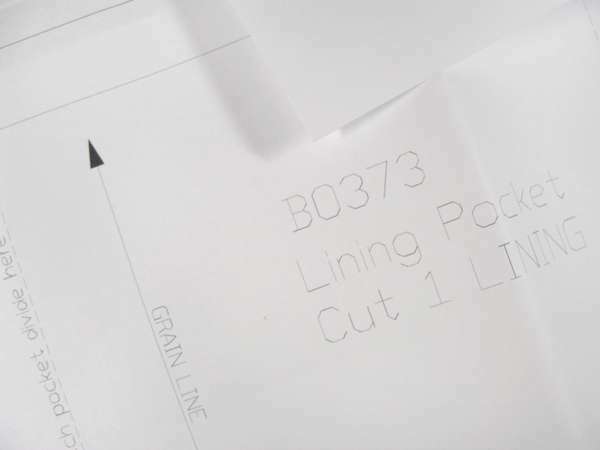 While experienced sewists may choose to skim the instructions (although they'd probably pick up a few new tricks if they read them), you will find all the information in there if you need it. It's best to stick to a simple design idea when working with a new pattern for the first time. 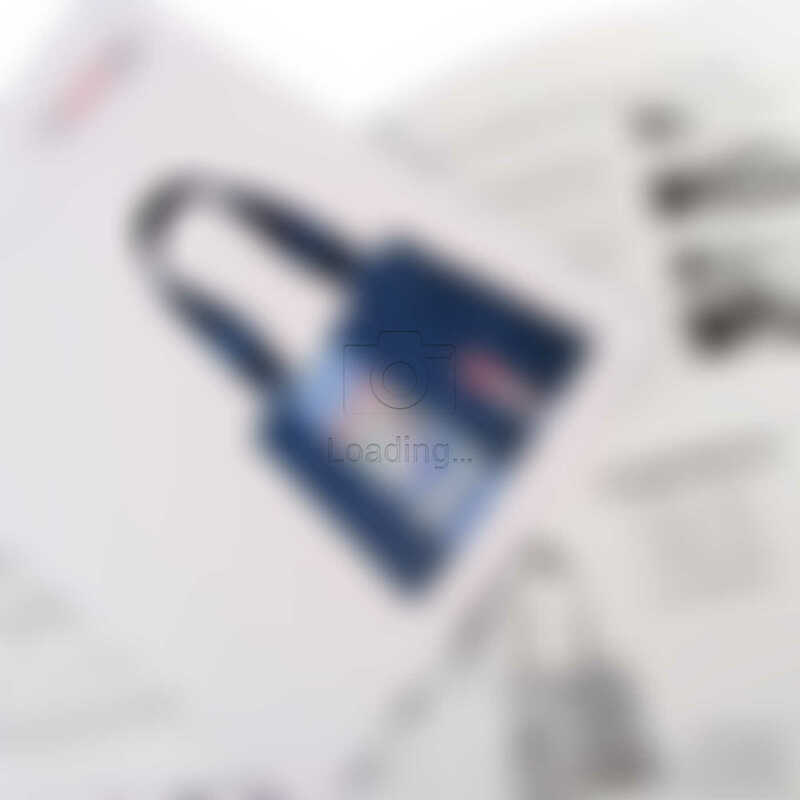 Read through each step as you're sewing the bag to make sure you're on track. Once you've made one bag, MAKE ANOTHER ONE with a new variation. Try new things with each bag and extend your skills by following the "variation" instructions. 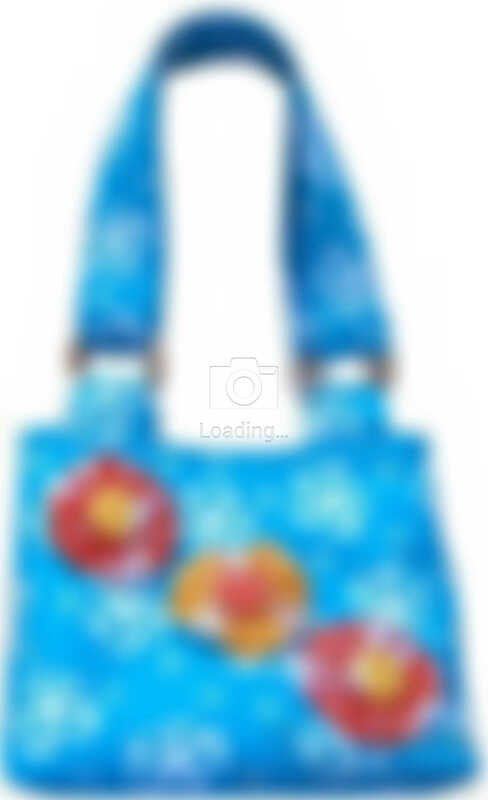 Can I use the patterns to make bags to SELL? Sure! Nicole has no objection to this, as long as you use your own design ideas to interpret the patterns. You cannot copy or distribute the patterns / instructions in any way. Because copying or distributing the actual patterns or intellectual property in ANY WAY is an infringement of copyright - which is ILLEGAL and subject to prosecution by Nicole's legal team. Sounds like common sense? We think so too. 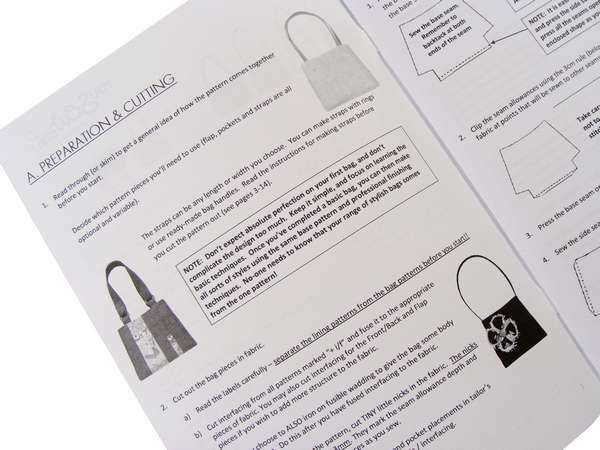 "The instructions were simple and easy to understand, the purse itself was much easier to make than I thought, and I look forward to making many more..."
Nicole Mallalieu Design is a small, independent business which follows ethical employment practices (no sweatshops here!). You Sew, Girl! 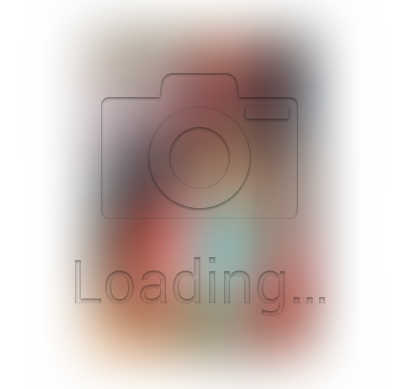 is a trademark owned by Nicole Mallalieu. You Sew, Girl! 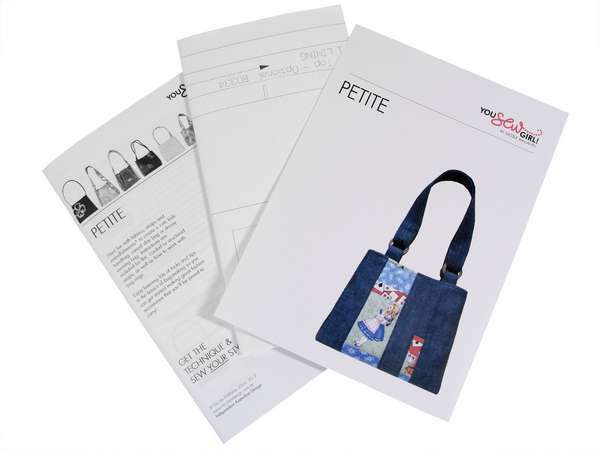 by Nicole Mallalieu Bag Patterns are proudly designed, printed and assembled in Melbourne, Australia. Nicole Mallalieu Design supports other other small local businesses by sourcing and outsourcing locally. Since picking up a needle and thread at the age of three, Nicole Mallalieu has been a passionate designer and maker of all things "textile". 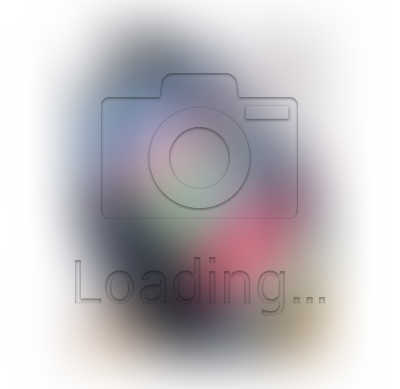 She graduated (in 1989) from the Royal Melbourne Institute of Technology, with a degree in Fashion, and has worked in Australia, England and Ireland, making clothing, hats, bags and furnishings. She has specialised in one-off, hand-finished bags and hats for exhibitions, commissions and boutiques and worked as a designer, patternmaker and product developer for the commercial market. 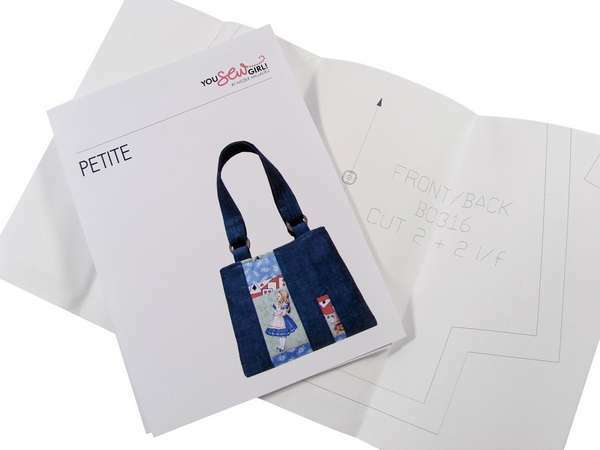 Since returning to Australia in 2002, Nicole has designed and manufactured bag patterns in conjunction with teaching courses and workshops in patternmaking, sewing and bag making. She writes the occasional magazine article (Stitches, Get Creative, Homespun etc), vast amounts of student notes and her book "You SEW girl!" is currently available in all good book and craft shops. 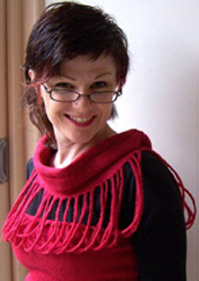 Nicole teaches workshops in Northcote and as a guest tutor for fabric stores, craft guilds and professional associations. 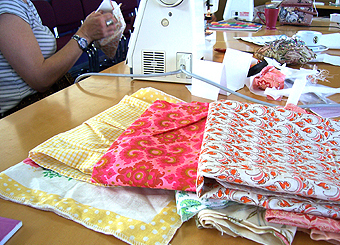 Her classes are constantly booked out because happy fabric addicts keep returning to try and make a dint in their stash! Because the patterns are just like having your very own private classes! 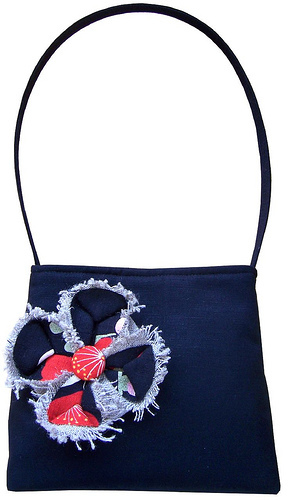 This Petite Bag offers many variations with a simple shape that can be made into an endless range of styles. Still, this is a very easy-to-make pattern - a gentle step up from "Absolute Beginner" level. 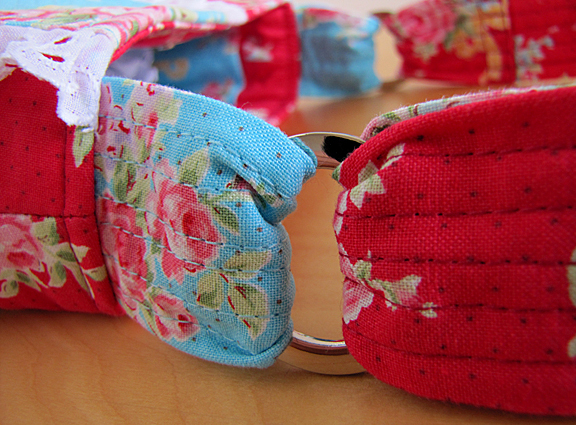 You'll learn to vary the strap design, add handles and make corded straps. You'll also learn to use wadding and interfacings to create structure in the bag. You can choose a wide range of fabric in all sorts of combinations, so you'll end up with a perfect bag for EACH occasion! clearly explaining many of the finer points of creating a well-finished bag. 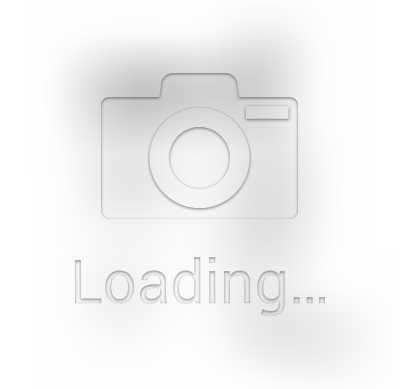 - So you can get started making great fashion accessories that you'll be proud to carry! Get The technique & Sew it your style! 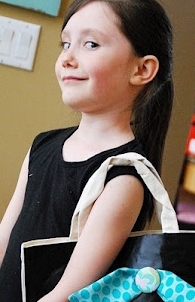 "A girl at work thought I was pulling her leg when I told her I made the bag I was carrying..."
How about getting your own budding fashionistas involved in selecting fabrics? 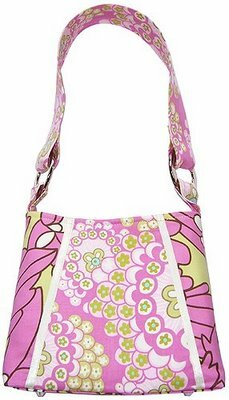 Better still, how about making a bag to match each outfit - for yourself and your little ladies? Sounds like you might enjoy Making Handbags? 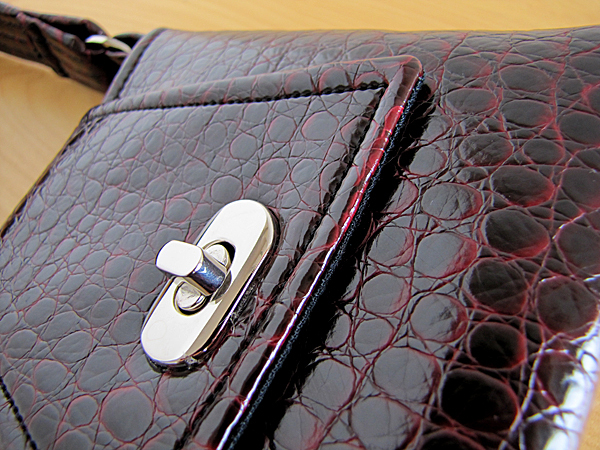 "I am so pleased with the purse you would think I had designed the whole thing myself. It all went together in about an hour, everything fitted where it should and it was so easy." So what's included in this pattern? Nikki's instruction is so comprehensive - you'd think it's a book! And, life-size pattern pieces for you to cut and use!!! "You've created a monster! I can't stop making bags!!" BEFORE you start cutting and sewing!!! How Many Bags can you make out of this ONE pattern? 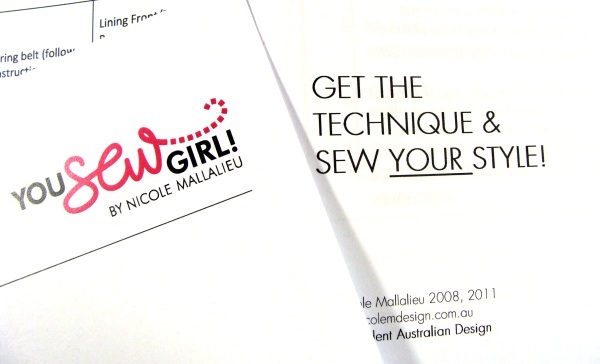 More than just another commercial pattern, Nicole's instruction will inspire you to create so much more! What would YOU do with your pattern....? 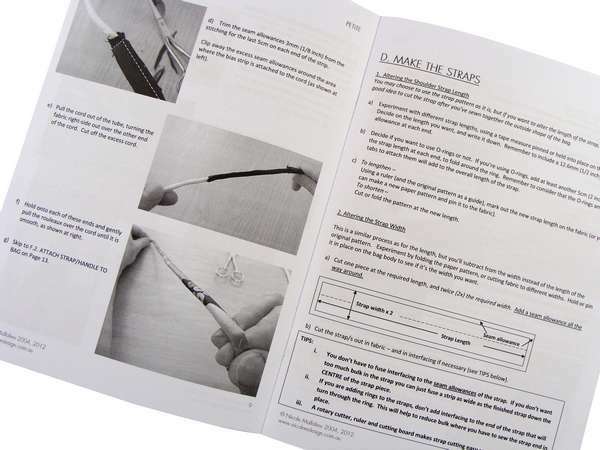 "[Nicole Mallalieu's] instructions are brilliant. I took my time and worked through step by step and it went together exactly as she said. I can't wait to make another..... I will definitely make more and I will definitely try some other styles as well, but this will be a favourite! I've never really been a handbag person, but now I can make my own unique bags, I will be making them to match every outfit. Thanks..."
So the only question is...., is ONE pattern really going to be enough, or do you need others?